The violet flame is the gift of the Holy Spirit that comes to us under the sponsorship of [[Saint Germain]], lord of the seventh ray and Hierarch of the [[age of Aquarius]]. 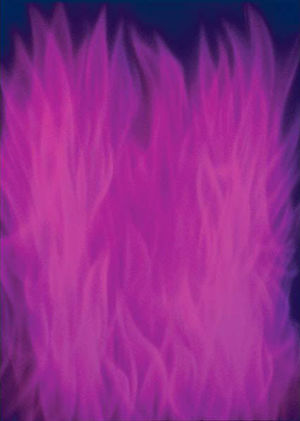 The violet flame works in microcosmic and macrocosmic worlds and is the key to individual and world [[transmutation]]. The violet flame can alter, mitigate or entirely turn back prophecy.